It's that time of year again! 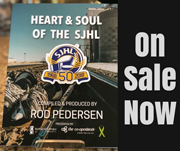 Time to vote for your favourite photo out of these Top 10 which appeared here at RodPedersen.com over the past 12 months. 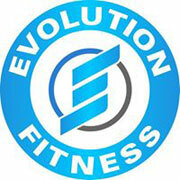 Please vote in the poll on the left side of this page! 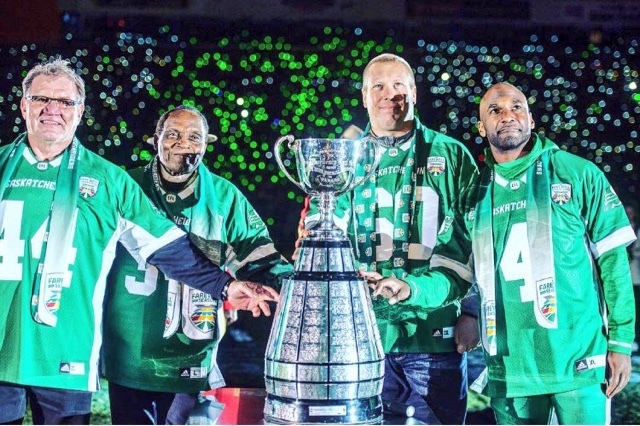 1 - THE LEGENDS: George Reed, Roger Aldag, Gene Makowsky and Darian Durant pose for one final picture at Historic Mosaic Stadium back on October 29. 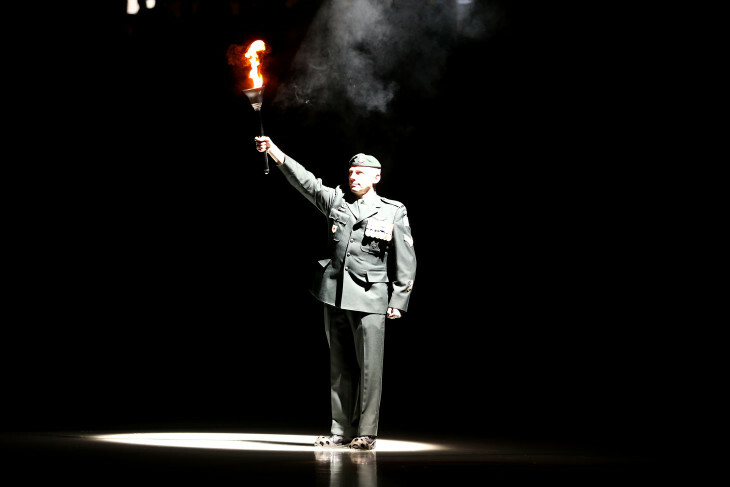 2 - JOIN THE REGIMENT: Official Regina Pats photographer Keith Hershmiller has taken loads of great pics but this one is my favourite. It's from the start of a Pats playoff game last March. 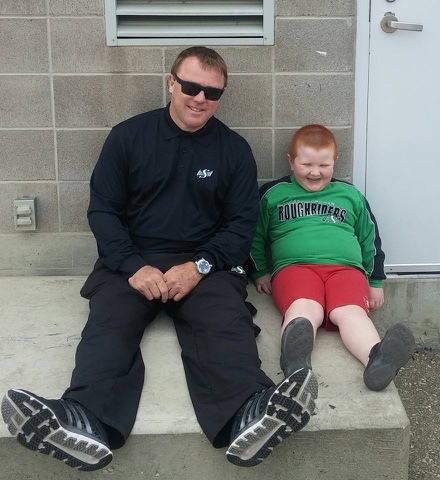 3 - COACH AND COLBY: Roughriders Head Coach & GM Chris Jones shows his softer side by posing with Rider fan Colby from Saskatoon during 2016 Training Camp in June. 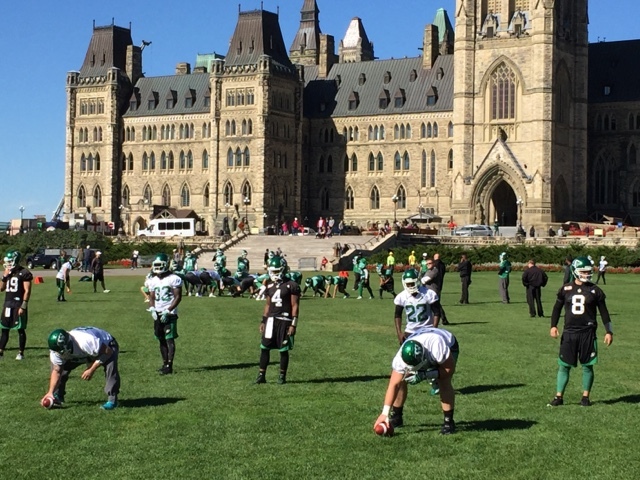 4 - RIDERS ON PARLIAMENT HILL: History says the Saskatchewan Roughriders are the first CFL team to ever practice on Parliament Hill. This historic day came back in September. 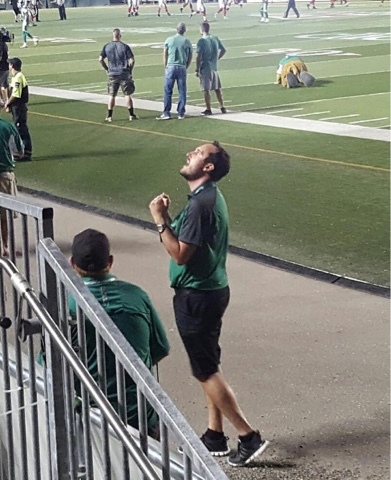 5 - THE PRESIDENT: A fan took this shot of Roughriders President Craig Reynolds and the relief he showed at the team's first victory of the 2016 season in Week 4. 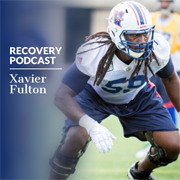 It was a last-minute win over Ottawa. 6 - WIN WITH CLASS! 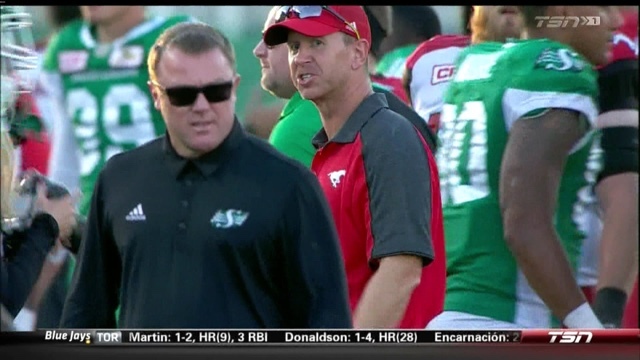 : TSN captured this memorable shot of the postgame exchange between Chris Jones and Calgary's Dave Dickenson after a game at Taylor Field in August. 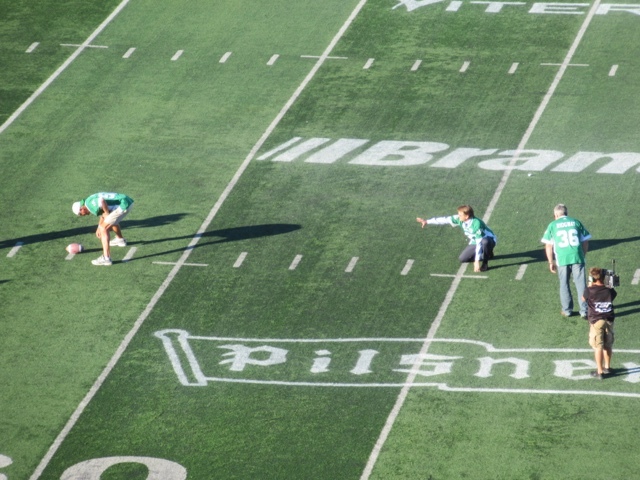 7 - THE KICK: At the game honouring the 1980's Roughriders this summer, Bob Poley, Glen Suitor and Dave Ridgway re-enacted "The Kick" from the 1989 Grey Cup game in Toronto. 8 - HORSING AROUND: I still can't stop giggling over this one. 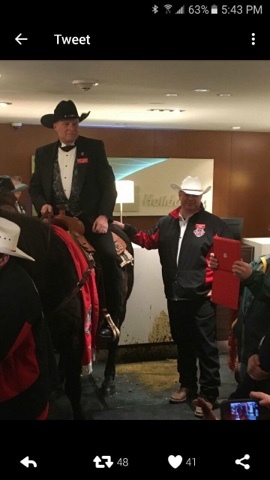 At 2016 Grey Cup festivities in Toronto, the legendary Calgary Stampeder horse tradition went awry when the horse had "an accident" in the lobby of a Toronto Holiday Inn. 9 - BOYS WILL BOYS: This was definitely one of my favourite snaps of the year. 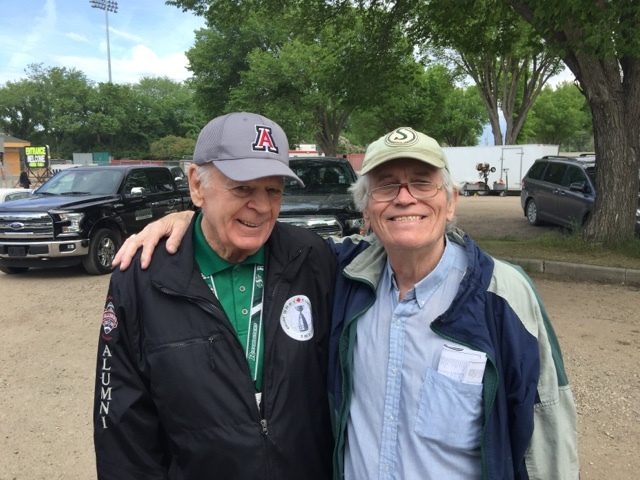 Rider legends Ted Urness and Wayne Shaw stopped by Rider training camp at SMF Field in Saskatoon and posed for a photo. Look at the expression on their faces! They look like a pair of little kids. 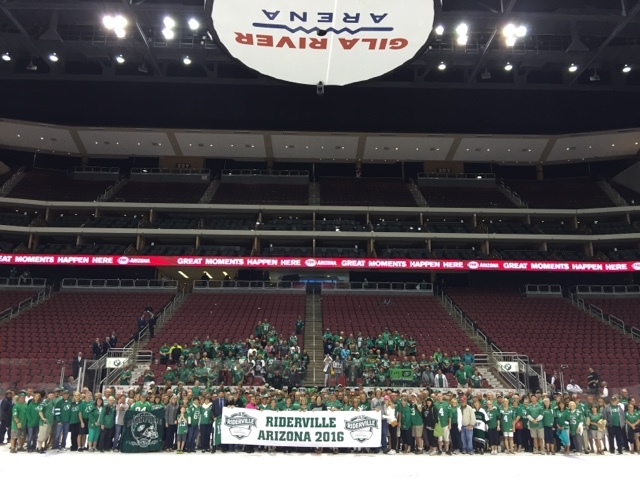 10 - RIDERVILLE ARIZONA: Fans' jaws still drop when they look at this photo from the Riderville Arizona Tour II in March at the Coyotes-Ducks game in Glendale. 1200 Rider fans showed up for the party and took over Westgate making it the Salt bar's third-highest grossing revenue day behind Super Bowl and the CFB Championship! 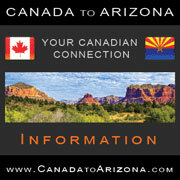 Don't miss this year's event on February 9 in Arizona! Only in Regina could a Holiday Inn be considered "fancy." 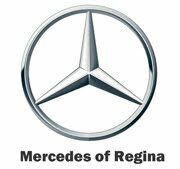 I know this will leave me in a minority but I'd vote for #2. I was there that night and the pregame show was spine tingling.